Five top tips for involving volunteers! As 2016 gets underway in earnest – and people are still looking for resolutions that they can actually keep – Volunteer Scotland is trying to help organisations attract new volunteers. There are lots of things to consider when you decide to involve volunteers and these top tips will help set you on the right path and ensure that volunteers’ have a great experience. Take some time to plan for volunteer involvement in your organisation. Get a group together to define why you’re involving volunteers, what roles are needed and what you’ll need to put in place. Of course, there are the essential policies and procedures such as Health and Safety, Insurance, Protecting Vulnerable Groups and Expenses. Also consider what budget is needed for expenses, resources, clothing or recognition. Is there office space and staff time available to ensure the successful delivery of volunteering and is everyone confident about the prospect of working alongside volunteers? What training and induction will volunteers need in order to ensure they’re confident and ready to get started in their role? Having a variety of roles to offer will help attract a variety of people. Some volunteers might be able to commit to one day every week but others might like a more flexible opportunity to help at the occasional event or fundraiser. Word of mouth is the most successful recruitment technique but don’t forget to target your promotion in different locations to ensure a variety of volunteers. Also, invite active volunteers to join in other roles as variety is the spice of life after all! Support can be as simple as providing a role description, relevant training, expenses and a main point of contact. Plan to catch up regularly or organise group meetings, perhaps for volunteers doing the same role, for peer support. Volunteers are also well placed to offer feedback on how things could be improved and will appreciate the opportunity to reflect on how they’re getting on in their role. Recognition is closely linked to motivation. For example, one volunteer might want to get work experience for their CV so may appreciate a reference, while another volunteer might prefer a presentation from their peers. 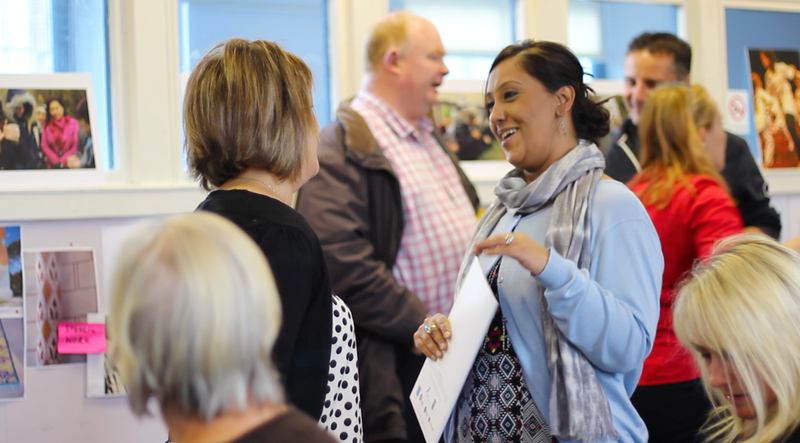 Don’t forget to recognise the efforts that staff put into making volunteering a success! No matter what you put in place, it’s important that volunteers enjoy their time with your organisation! These top tips will ensure a positive experience for all volunteers. You can find more guidance on the Volunteer Scotland website. ← Bringing people together to share memories to tackle social isolation.